Last year, Sony made a huge impression in mobile when it introduced its Xperia Z1 at the 2013 Consumer Electronics Show. The company did it again last month during the same event, introducing the Xperia Z1 Compact and Z1S. Now, Sony is further beefing up its premium Z portfolio with the Xperia Z2, which we've actually seen leaked out on multiple occasions. Only this time it's official. This will be Sony's main flagship device for the foreseeable future, and the headlining features reflect that: 4K video recording capabilities, a Full HD display, water resistant design, and more. Sony says its latest flagship is a culmination of the company's years of experience in sound, optics and displays, combined to make its best ever handset. First: the Xperia Z2 sports Sony's "proven" camera tech to offer an advanced camera and camcorder without any of the usual smartphone compromises. Equipped with a 20.7-megapixel camera, 1/2.3-type Exmor RS for mobile CMOS sensor, and G Lens, the Z2 promises to offer the sharpest and most high quality images and video, with the capability to also capture in 4K resolution. Do we need to capture 4K resolution? No, but why the heck not? The camera experience will be made more robust thanks to some onboard software Sony built for its Xperia lineup. Apps like Timeshift video, Creative effect, Background defocus and AR effect. These apps are meant to complement Sony's other range of camera apps, which include Info-eye and Timeshift burst. Timeshift video in particular sounds neat, allowing users to shoot video in 120 frames per second for dramatic slow motion. On the inside, the Xperia Z2 sports a Snapdragon 801 processor, LTE support, a 5.2-inch Full HD display, 3GB of RAM, dedicated camera button, waterproof design, and 3200mAh battery. A predictably beefy handset that should be more than capable throughout the duration of 2014. Other standout experiences include Sony's digital noise canceling technology, 30 days free trial of Music Unlimited and six movies from Sony Pictures, including Captain Phillips. 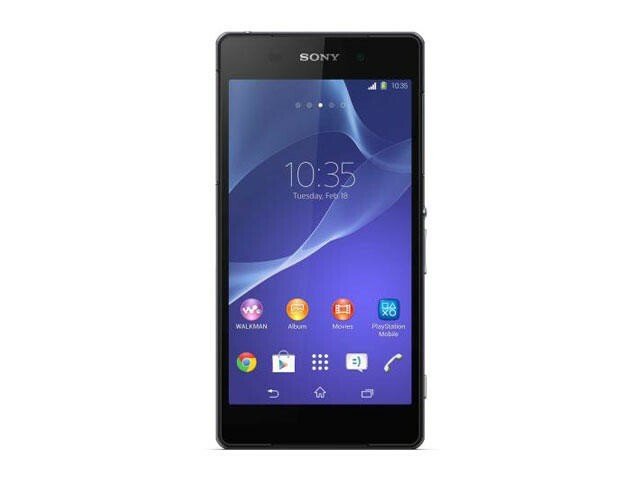 The Xperia Z2 will also have access to other Sony entertainment apps, such as Walkman, PlayStation App, and PlayMemories Online. Sony said its Xperia Z2 will launch globally in March, though it didn't provide an exact date or suggested retail price. Chances are carrier partners will begin announcing pricing and availability in the coming days, so stay tune for further info.